April 2013 is turning out to be “SAP Month” at EMC; Check out these events! We just came off one of the largest EBC events in the history of EMC with SAP Week at the end of February 2013. I looked at my schedule for Q2 to notice that we have a ton of SAP related events at EMC facilities as well as sponsorships at SAP events in SAP facilities coming up in April. How do we make sense of each event, when & where are they happening, and who should attend them? SAP is hosting their first annual Technology Services Conference at the SAP Labs in Palo Alto on April 1st-2nd and at Newtown Square on April 4th-5th with five different tracks focused on delivering services solutions for Technical Implementation & Upgrades, IT Architecture & Content Collaboration, Cloud Platform & Virtualization, Testing Services and IT Security, Technical Integration & orchestration. EMC and VCE are co-sponsors and speakers at this SAP hosted event with our “Transforming SAP Landscapes building out Private Cloud for SAP Infrastructure” presentation. For loyal blog readers I may be able to help out with tickets ($650.00) for the 1st few that send me a note. SAP has been hosting this very popular event for many years which gives SAP customers and partners an opportunity to learn how to achieve greater business agility and TCO savings with SAP technology and solution offerings by effectively leveraging cloud and virtualization technologies. EMC is a sponsor and speakers at this SAP hosted event with a “Private Cloud for SAP” presentation. 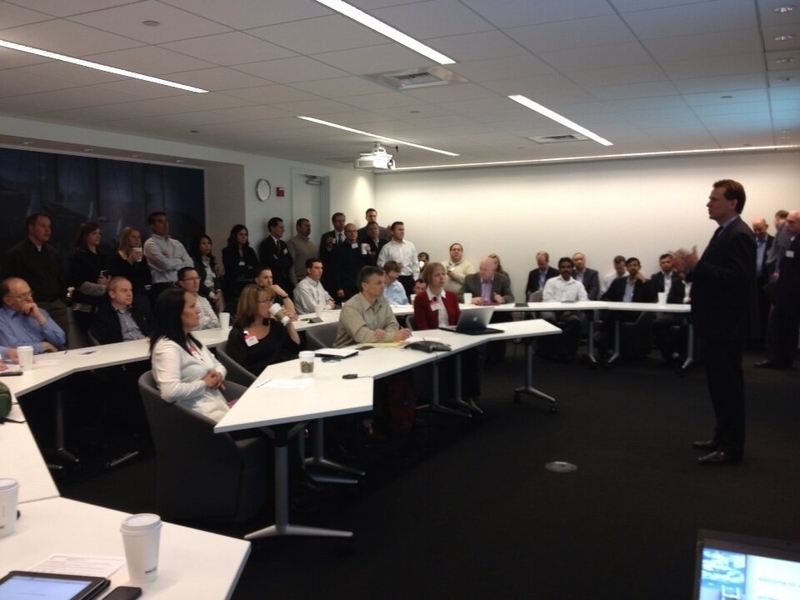 The SAP High Tech Forum is an SAP led event which happens to be hosted at EMC’s Hopkinton, MA Briefing center. At this event you will you will hear from visionary business experts and executives how the new economy is affecting IT and corner office, and how you can capitalize on those trends to innovate in your business. You will also learn how other companies are harnessing the latest technologies to power growth and profitability. EMC will have a presentation slot with Tony Pagliarulo VP of IT at EMC on “EMC’s SAP Transformation“ (Project Propel for SAP Cloud and HANA). The SAP Media Innovation Day is an SAP led forum event hosted in Universal City for the Media and Entertainment industry. EMC is one of the main sponsors at this event and will have resources available for SAP related conversations. At this event you will learn about recent advances in SAP solutions for the media and entertainment industry, SAP’s vision for innovation, best practices for managing the emerging digital supply chain to deal with the sudden increase of digital assets sold and distributed around the world. 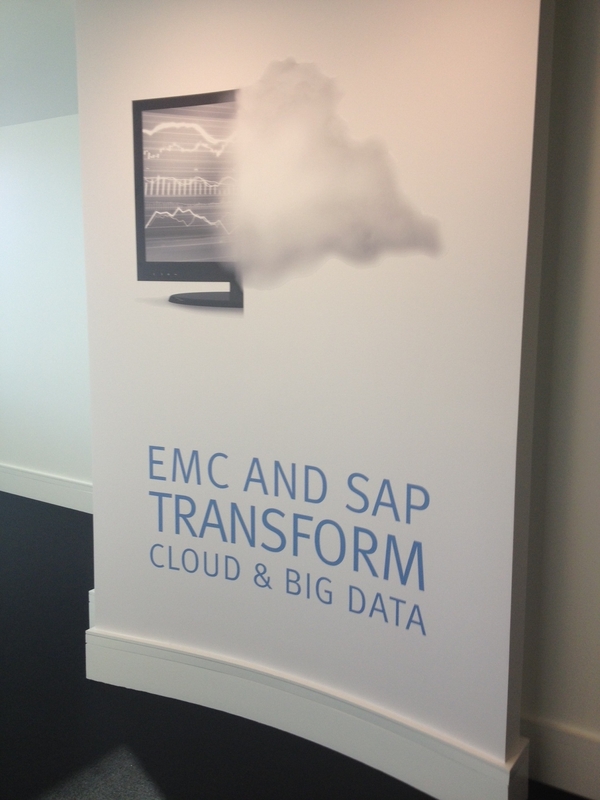 End of April EMC is taking the SAP Week event concept out to our headquarters outside Boston for the first time. There has already been tremendous feedback with a large number of RSVP’s from interested SAP customers. The concept of bringing in the very best SAP subject matter experts from EMC, Cisco, VMware, VCE and SAP from around the world, with SAP customer presentations on relevant topics, EMC IT presenting our SAP transformation as it relates to Cloud and HANA as well as fostering an environment to encourage customer to customer discussions during the day and at dinner…keeps proving to be a valuable formula. Come check out SAP Week East…to learn why SAP Week in Santa Clara was the largest EBC event in the history of EMC. Ken Saul from our Global SAP Practice team is running point on this SAP Week East event and can share more details. My fellow Swedish friend and collogue, Joakim Zetterblad, has been putting together SAP Weeks in EMEA for a few years now out of the EMC Cork, Ireland briefing center. Just like the US events have grown in participation, I am hearing that customers have had great feedback from attending previous events including the one in June 2012. It doesn’t surprise me that Joakim and his team put on a great event, he is an incredible professional business executive with a customer first mind set. One of the keynote presenters at this year’s EMEA event is Bill Reid from EMC IT Project Propel who keeps being a highlight for customers. Please contact myself or Joakim Zetterblad for further info on this event. SAP Week Feb 2013…largest EBC event in the history of EMC! For a few years we have been putting together SAP Week events in our west coast Santa Clara Executive Briefing Center (EBC) that have gained popularity over the years. These SAP Week events have been well attended with SAP customers, partners and SAP related resources from EMC, Cisco, VMware, VCE and SAP. Last week we just hosted another SAP Week event in Santa Clara with 30 different SAP customers over three days, where each customer could attend for one full day. The theme of the SAP Week event was SAP Cloud and SAP HANA. So what does that mean? We clearly have EMC events with more than 210 customers attending (30 clients x 7 per client = 210) at for example EMC World, EMC Forums etc. The difference at SAP Week is that this is not a conference where customer attends vendor presentations in a large group format…SAP Week was 30 different individuals, one day of executive briefings with tailored agendas for each client based on desired SAP related topics. We like to start the day in joint keynote sessions with all the customers in one room. This year we had a SAP SVP of Technology (Wed & Thurs) and a SAP VP of Technology (Tues) kickoff keynote sessions with SAP strategy as it relates to Cloud/Virtualization and HANA. Both of them did an incredible job to start the day on the right path. We then had a customer present as a 2nd keynote session with Columbia Sportswear (Tues) and EMC IT (Wed & Thurs) walking through their Private Cloud for SAP and HANA (EMC IT) deployments. The day is followed by individual breakout sessions and discussions on topics that were relevant to each SAP client. One of the cool things about SAP Week is obviously by bringing in a large number of SAP customers in one place over 3 days, we can get the very best speakers and facilitators available from EMC and our partner organizations (including SAP)…but the most valuable aspect of SAP Week is the opportunity to have SAP customers meet and talk to each other about similar challenges, initiatives and requirements that they may have. We do this during the lunch user group session and at dinner each night. One great example of this customer to customer collaboration which I was fortunate to see happen right in front of me on Wednesday night during dinner; two different large SAP clients talked about their current projects and realized that they were both multiyear Greenfield SAP rollouts in the process of completely redesigning their business process using SAP with a go live day within a few months from each other. Both these SAP clients are building out Private Cloud for SAP architectures and it turns out they are also working with the same Systems Integrator on the project, including deploying similar database architectures for high availability for their SAP ERP rollouts. Guess they were interested in chatting?!! Connecting these two different SAP customers which are located in different cities during SAP Week, in addition to offering them a great briefing experience with top technical resources, is what SAP Week is all about! Helping our SAP customers in their journey above and beyond us explaining why and how other SAP customers use EMC and VMware technologies…is why I get out of bed every day. Hopefully these two clients were as inspired as I was by being able to connect the two of them, and more importantly I hope they stay in touch to compare notes as they go live on their projects, and then work on optimizing their SAP environments. Another very valuable aspect of SAP Week for the 2nd time in a row now is our friends from Columbia Sportswear speaking as a keynote about their Private Cloud for SAP deployment. Their ability to leverage cloud architectures to drive incredible time-to-market is game changing. They have truly turn their IT organization from an organization “keeping the lights on” to providing real value to their business…in some cases able to move 3-4x times faster than their business can. Our friends from Columbia can tell you all about how they have accomplished this if you get a chance to see them at Sapphire in Orlando. I also have to give a huge thanks to Bill Reid from EMC IT Project Propel, who graciously agreed to come out to the west coast for 3 days to present and meet with customers in person. 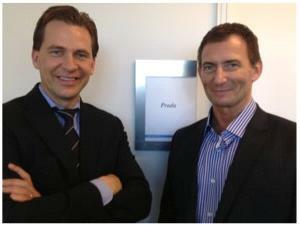 Bill is the Director of Architecture and the Global Technical Lead on the Propel project. One story that Bill spoke about in his keynote was the importance of being able to provision a copy of his entire SAP Production landscape less than 3 days (around 70 VMs including the build-out of the SAP systems which drives around 450K SAPS), only months before his go live (in the 27 months project) due to the requirement of building out another performance environment to fix an issue. Normally, in a physically SAP environment, creating a full Production landscape would take weeks. He shared that due to the Private Cloud for SAP architecture based on Vblock systems which he has deployed, he could pull this off in 3 days and save the project from delaying its go live date. Bill also joked about this ability to execute lighting fast to meet this business requirement this close to the project go live date…saved his job! Another favorite moment during SAP Week was in one of the customer sessions with one of our colorful VCE SAP resources (Mr. Socks) walked through why Vblock for SAP. A Director of IT from one of the customers who attended stated that while this is great, he has built out his own Private Cloud for SAP architecture with various individual components…CIO turned to his Director of IT and said, “then why is the architecture you put together not nearly as efficient as a Vblock?!!”. Just priceless! It was also very cool that many of our Vblock for SAP user group members came out to SAP Week…looking forward to seeing you guys at Sapphire Orlando! If you want to get experience at an SAP Week event, you don’t have to wait long since we have two SAP Week events running the same week at the end of April in Hopkinton, MA and Cork, Ireland. SAP Week East & SAP Week EMEA. Come join us to also get inspired…and collaborate with your peers!